Yoga for Balance contains carefully selected, asanas, pranayamas and mudras to help balance your entire being. Yoga for Balance is a 75 minute class suitable for those with previous yoga experience. It expertly guides you through a series of carefully selected asanas (yoga postures) that create physical symmetry, pranayamas (yoga breathing techniques) that encourage emotional balance and mudras (yoga gestures) that promote a clear focussed mind. Throughout the class you will be encouraged to internalise your focus and bring awareness to any blockages or areas of tension stored within the body. Practicing yoga in such a way will help to remove any imbalances and prevent future related injuries or illnesses. 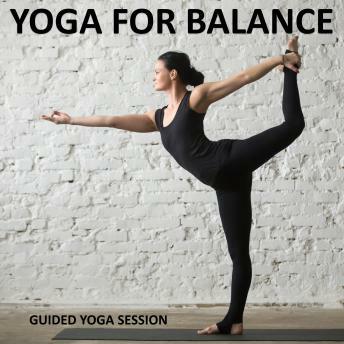 Yoga for Balance is devised and instructed by Sue Fuller and was recorded in a professional sound studio. Sue is the resident yoga expert for Natural Health Magazine and is a leading yoga teacher, writer and training course author who has studied and taught yoga around the world for almost 20 years. The clear, easy-to-follow class instructions are combined with a subtle atmospheric background music track that creates the perfect mood and pace.